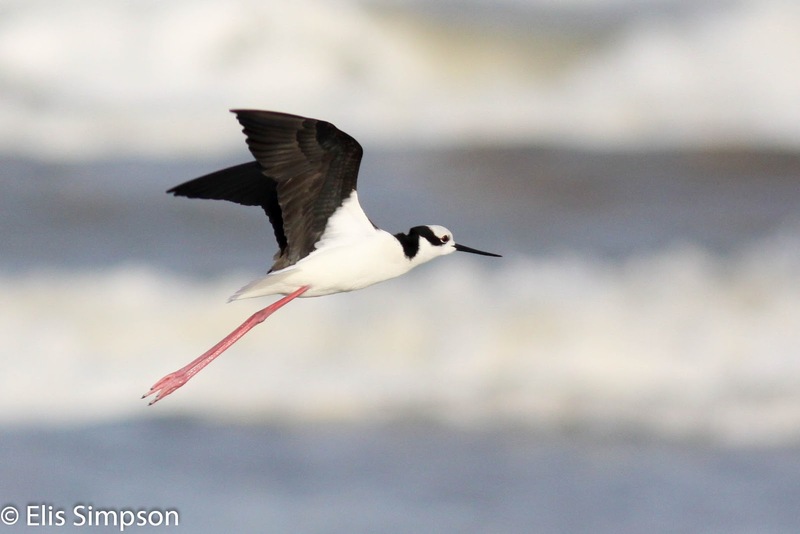 Wader Quest: Looking forward to South America. Looking forward to South America. Today we travel to South America. We will be looking for waders in Brazil and Peru. 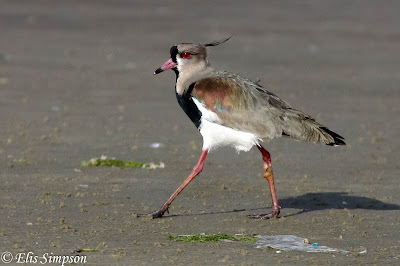 In Brazil we will see the first Southern Lapwings of our quest, we may even see them before we disembark the plane at São Paulo airport they are so common. The best wader watching though will be when we travel to the south of the country to see some of the southern migrants such as Rufous-chested Dotterel and Two-banded Plover. Our toughest bird in Brazil is going to be Pied Lapwing, we will be visiting just on the very edge of their range where they are really scarce. For us the trip to Peru will be much more exciting though as we have never been there before, we are expecting to see several species we haven't seen before not just in Wader Quest but ever. Andean specialities like the lapwing and avocet are in our sights and of course the cherry on the cake Diademed Sandpiper-Plover. 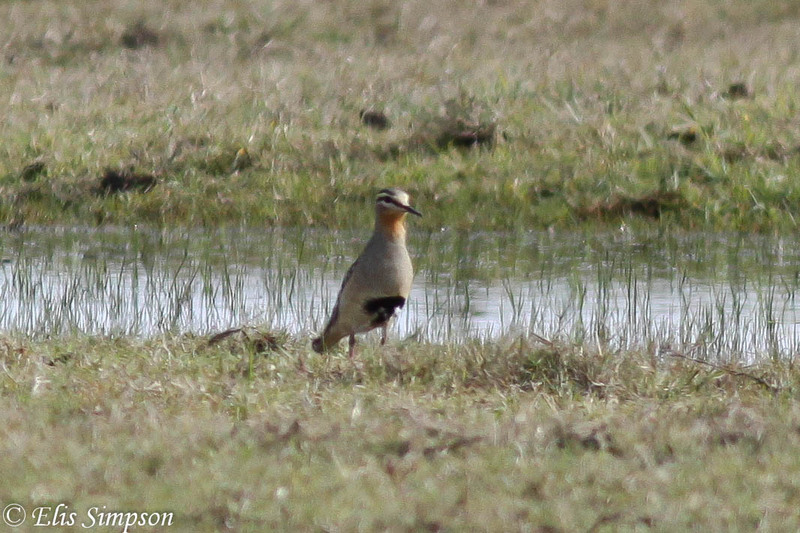 Non-breeding Rufous-chested Dotterel to be found in south Brazil. We are hoping that the Blackish Oystercatchers there will be less difficult to catch up with than their cousins the American Black Oystercatcher up north and that we'll be able to get some decent photographs this time. 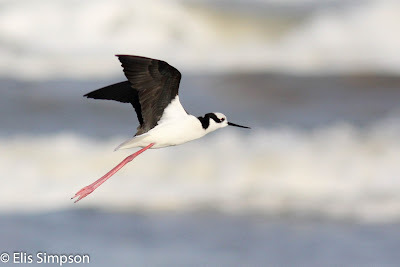 White-backed Stilt, the southern version of Black-necked should be seen in Brazil. In the Andes there are a number of snipe species, some we will not have the opportunity to even look for, but we should be able to catch up with one or two of these cryptic species with the help of our friend and guide Renzo Zeppelli. In Brazil, on this trip we should see South American Snipe without too much difficulty, but Giant Snipe will have to wait for next time if we can fit it in. The South American Painted Snipe will be looked for, but it is much more likely to be around when we revisit in October. 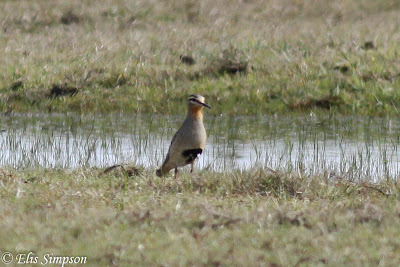 We also hope to see our first seedsnipes there, these funny looking birds look much more like grouse than waders and like the jacanas don't somehow seem to fit into the group, but there they are, large as life on the list and so it is our duty to try and see them. 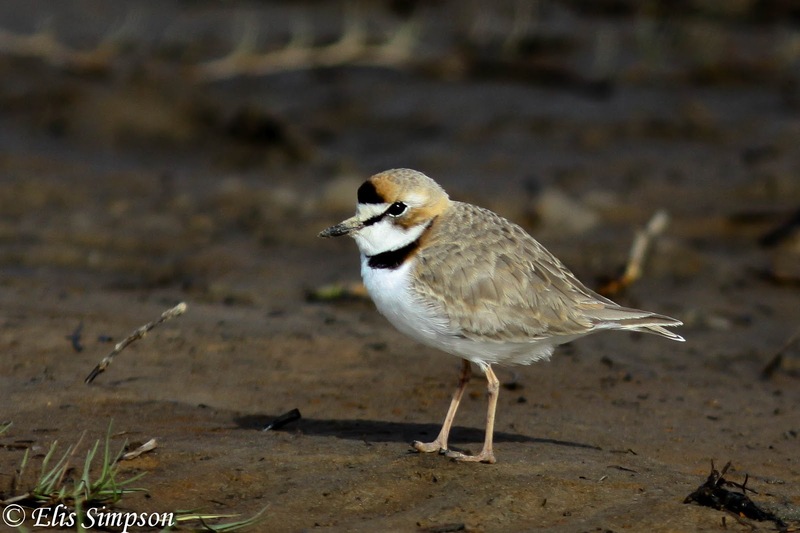 Tawny-throated Dotterel, possible in both countries. This is going to be the toughest birding we have done to date and has plenty of potential to produce our first disappointments, so wish us luck and we'll try to blog as often as we can to keep you up to date.